To calculate the monthly cost of mortgage insurance, you would multiply the rate above times the loan amount and divide that number by 12. $150,000 x .36% = $540.00 / 12 = $45.00. $150,000 x 1.16% = $1,740. 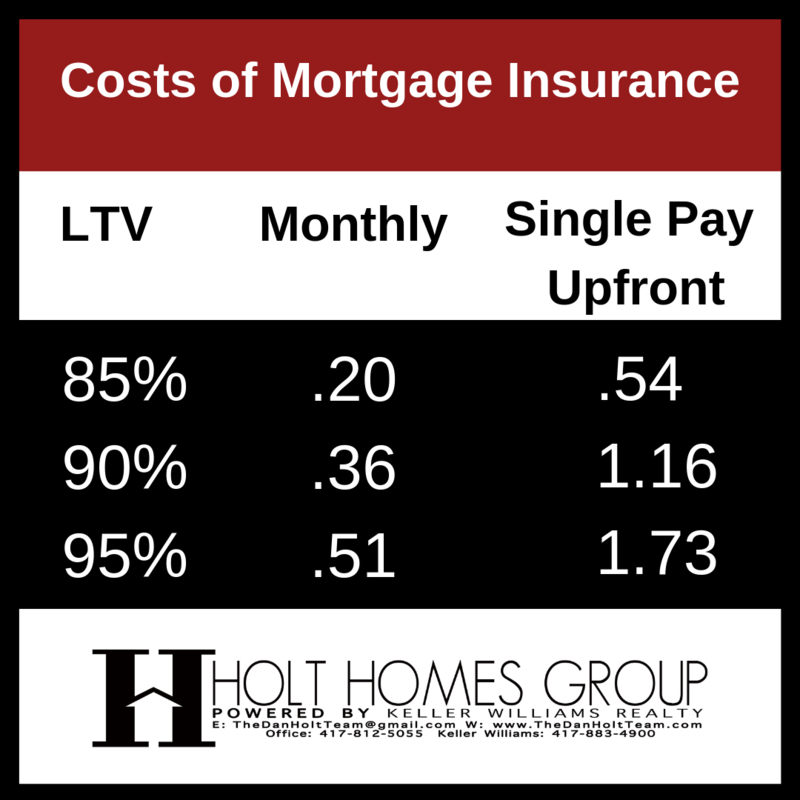 The great thing about the single pay upfront premium is that once the premium amount is paid upfront, there is no monthly mortgage insurance included in the homebuyers monthly payment. 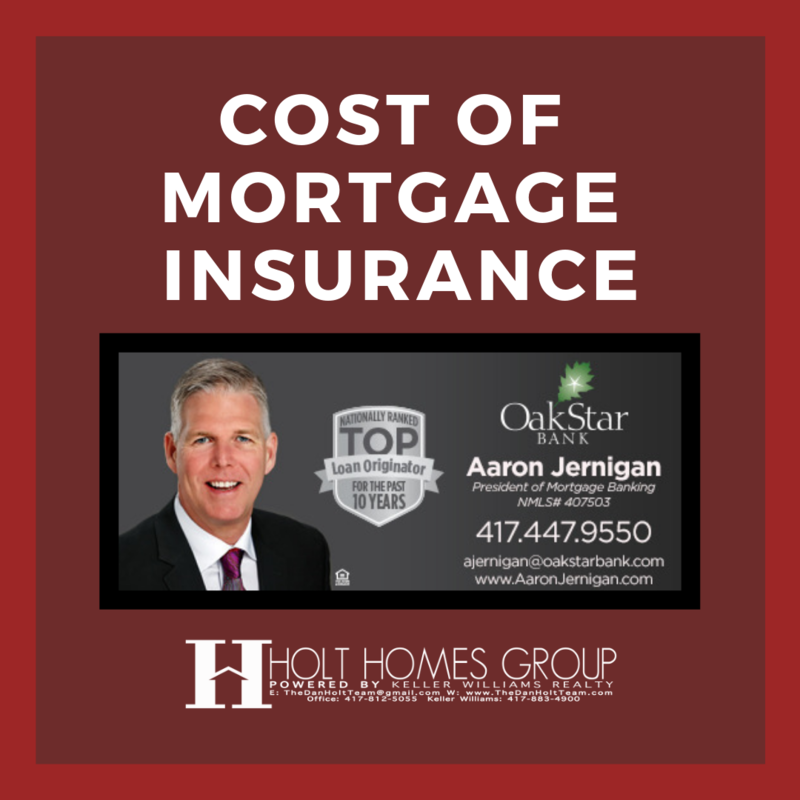 For more information or calculations on mortgage insurance, please contact Aaron Jernigan today at 417.849.7801.